The AlkaFresh MiniMAX is a great mid-range model. It is a smaller unit for people with limited counter space. It comes equipped with the latest advanced technologies like MESH plates and an SMPS power system. 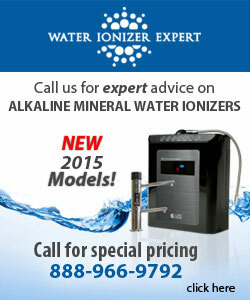 This machine provides great a pH range as well as low ORP readings. The unit comes with large dual filters to provide great internal purification. Vitamin C Ceramic Block Filter Technology filter – this technology is helpful to reduce contaminants, chlorine, and chloramines (chlorine + ammonia) which are found in 30% of municipal water sources. The MiniMax includes a full, comprehensive 7 year Warranty and outperformed other mid-range units.